Chicago Sun Times: Connected city worker spared in merger, layoffs Reviewed by Edgeville Buzz on October 23, 2010 . Clout apparently still counts in City Hall jobs — despite Mayor Daley’s promise to implement a personnel system free of politics in the wake of a hiring scandal that cost taxpayers $12 million to compensate victims of the city’s rigged hiring system. 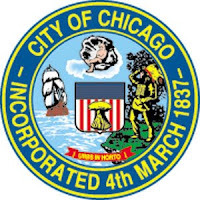 The wife of a former Democratic ward boss — who also happens to be the daughter-in-law of a former alderman — has survived a departmental merger that will eliminate 13 jobs and force nine layoffs. Maureen Volini was a $73,752 administrative services officer for the Mayor’s Office of Special Events. Now that Daley’s final budget is merging Special Events with the Department of Cultural Affairs, Volini has avoided the ax with a transfer to the Department of Procurement Services. Volini is the wife of former 48th Ward Committeeman Mike Volini, a $111,012-a-year assistant commissioner in the city’s Transportation Department. She’s the daughter-in-law of former Ald. Marion Volini (48th).